This is Sindhi translation of the Maktubat Sharif (letters) of Hazrat Khalifo Mahmood Nizamani Qadri Naqshbandi (d. 1851), the chief khalifa of famous saint of Sindh Hazrat Pir Muhammad Rashid alias Rozay Dhani. It was published in 2003 by Mahmoodiya Academy. Taufiq-ut-Talibeen (Sindhi translation of Kunuz-ul-Marifat) is the Malfuzat of Hazrat Khalifo Mahmood Nizamani Qadri Naqshbandi (d.1851) of Kario Ganhwar, Badin, Sindh. 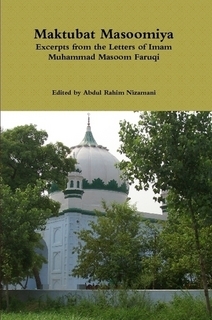 Written by Khalifo Gul Muhammad Halai and translated by Molvi Noor Muhammad. Siraj-ul-Ashiqeen (Sindhi translation) is the Malfuzat of Hazrat Khalifo Mahmood Nizamani Qadri Naqshbandi (d.1851) of Kario Ganhwar, Badin, Sindh. Written by Khalifo Muhammad Malook Chandio and translated by Qazi Fateh Rasool Nizamani (Tando Qaiser), published in 1998. هن ڪتاب ۾ سلوڪ طريقه راشديه قادريه نقشبنديه جو بيان آهي، جنهن جي بنياد حضرت پير سيد محمد راشد روضي ڌڻي رحمة الله عليه وڌي. حضرت خليفه محمود نظاماڻي سندن وڏا ۽ اعظم خليفا هئا جن سندن جا ملفوظات شريف پڻ جمع ڪيا. Mahboobiyat-ul-Mahmoodiya (Sindhi) is a wonderful book by the great Sufi saint Hazrat Khalifo Mahmood Nizamani (of Kario Ganhwar, Badin, Sindh, d.1851). This is Sindhi translation of the book originally written in Persian. It documents the Sulook (Path) of the Sufi order started by Hazrat Pir Sayyid Muhammad Rashid Rozay Dhani (founder of Pir Pagara line). Barkaat al-Tartil is a great book about the science of Tajweed written in Urdu by Qari Muhammad Afroz Qadri Chiriakoti. 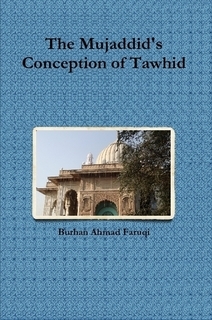 This is a detailed book and covers every aspect of Tajweed.